The Infant and Toddler Community is a bridge between home and school—and the beginning of your child's educational journey. 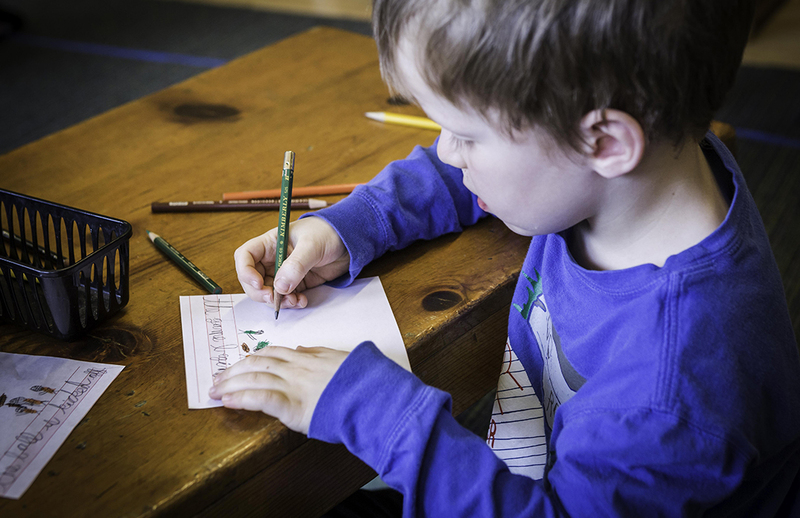 Our classrooms are a nurturing environment with a variety of Montessori materials and activities to promote your child’s language, motor, social-emotional and cognitive development. Children are active contributors of the classroom, preparing food, washing tables, sorting shapes and more. Our curriculum is designed to build small and large motor coordination, refine the senses, expand vocabulary, and help each child learn to work as part of a community. At the Primary level, children are integrated into a mixed-aged classroom, with students ranging from age 3 to 6. The classroom is thoughtfully balanced by age, gender and diversity. 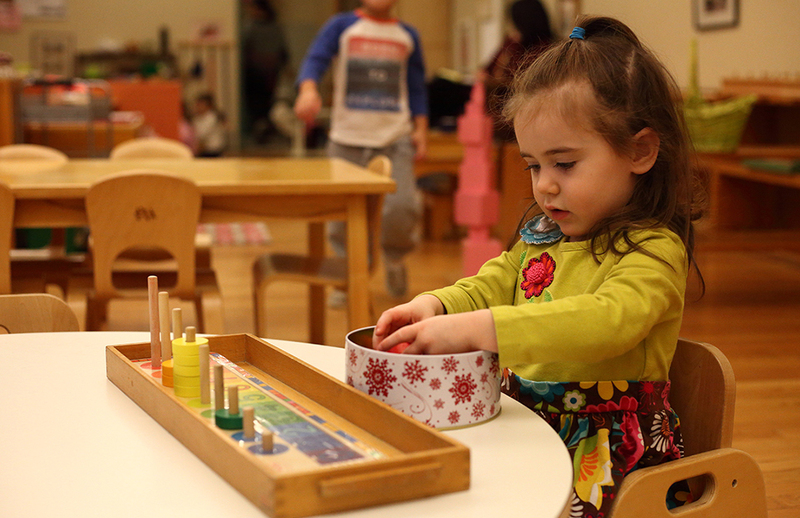 The 3-6 Montessori curriculum and materials allow for exploration and development through hands-on learning. Students follow lessons in five curricular areas: Practical Life, Sensorial, Math, Language, Cultural Studies. Near North's Elementary level is divided into two sections by age, 6-9 and 9-12. Elementary work builds on the concrete lessons of Early Childhood to develop abstract concepts and reasoning skills. 6-9 students explore the mysteries of our universe as they learn to place themselves within the context of modern civilization. Children in the 9-12 classes tackle hands-on, project-based lessons. 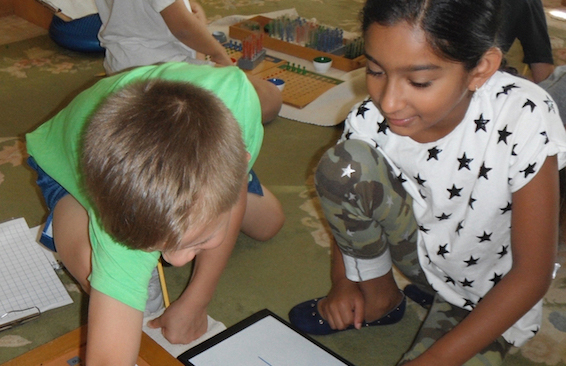 Throughout Elementary, children eagerly take on more complex problems in mathematics, language, geography, botany, zoology, history, and the physical sciences. Junior High is the culmination of the educational journey at Near North. 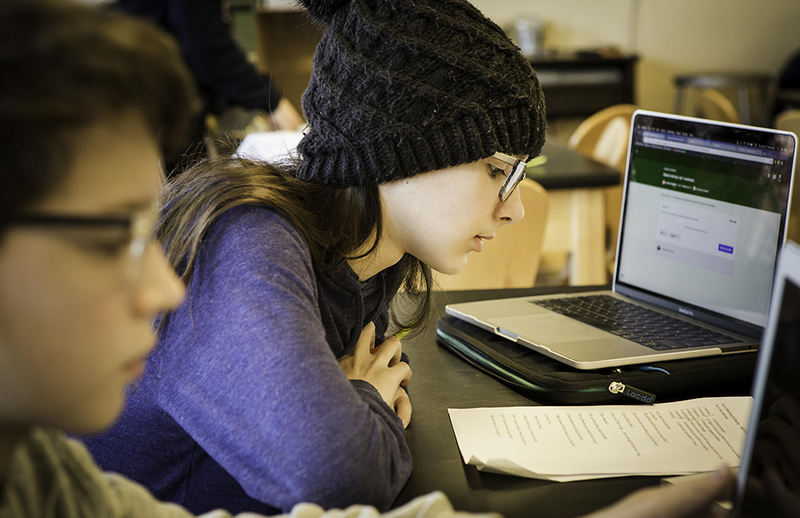 Our seventh and eighth graders build upon the foundations of our lower levels to go far beyond a traditional education's scope. Adolescents enjoy seminar-style instruction as well as focused independent study, collaboration with their peers in and out of the classroom, and challenging experiential learning through the student-run, farm-to-table Sandwich Shoppe. Junior High students are role models for the entire community, demonstrating the greatness that awaits an NNM graduate in High School and beyond.